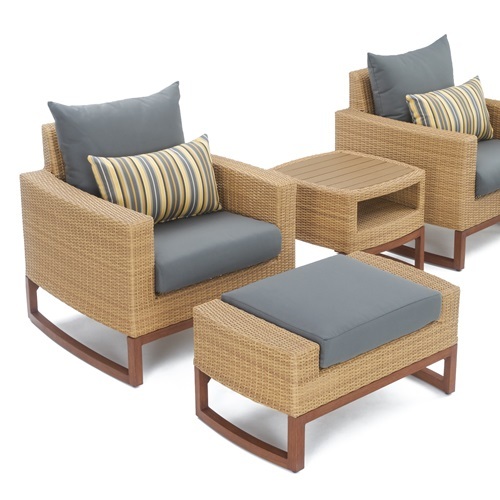 The Mili 5-Piece Club Chair and Ottoman Set is a high-quality, durable outdoor furniture set with a sophisticated and classic look. 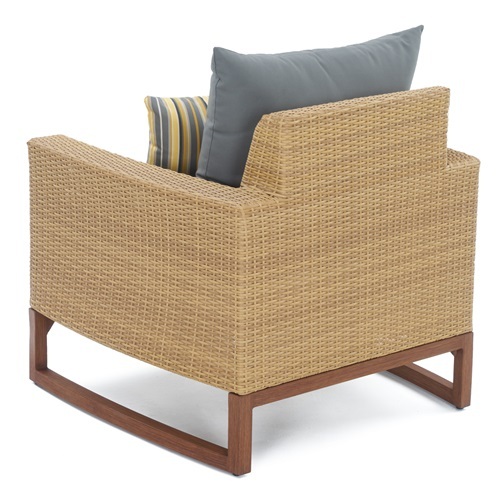 Wrapped in beautiful wicker and accented with modern cushions, this is the ideal addition to your deck or outdoor space. 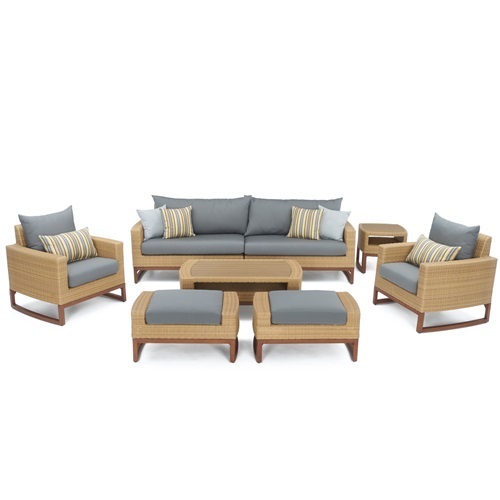 The ideal outdoor furniture set to bring your family and friends together, this handsome option promises not to disappoint. 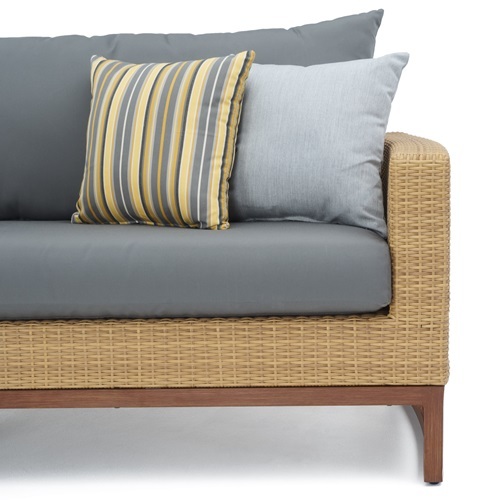 Set includes two club chairs, two club ottomans, coordinated accent pillows, and a side table.